Hamilton hotel facilities and services is a satisfactory hotel, clean and comfortable rooms, friendly service. Hotel suitable for all guests traveling to Seoul select from the general traveler to business executives, can meet their requirements. Hamilton Hotel is a four-star modern hotel, built in 1973, a total of 162 rooms. Rooms comfortable and clean, decor is simple and practical. 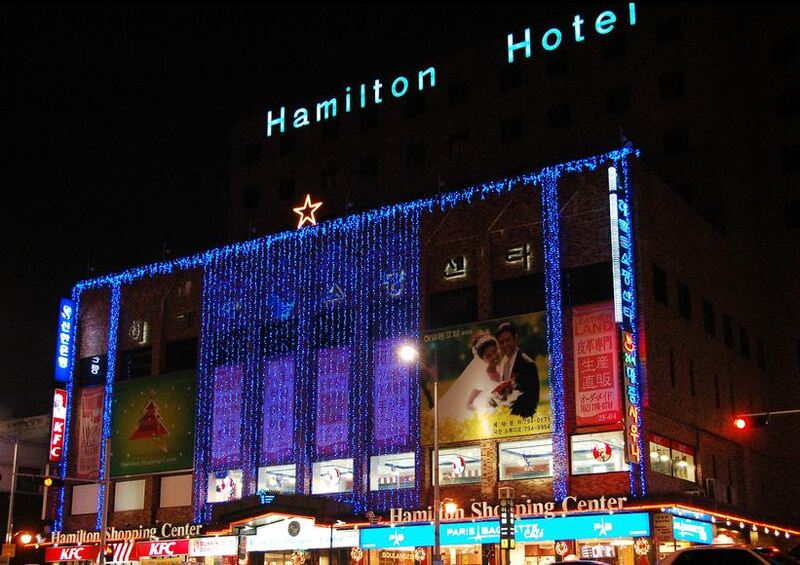 Hamilton Hotel is located in Seoul Itaewon shopping center. Itaewon Gardens, Railway Station No. 6 line on the entrance of the hotel, very convenient for transportation. All rooms are equipped with very high-speed Internet access, guest access to do business or shopping, you can stay at home, both comfortable and convenient. Hamilton is conveniently and safely, in Itaewon center. The hotel has an excellent location for business travel, tourism and shopping offer travelers great convenience. In Itaewon there are many delicious food can be enjoyed, you can watch a lot of beautiful scenery, you can enjoy the make your trip so much more special and memorable.